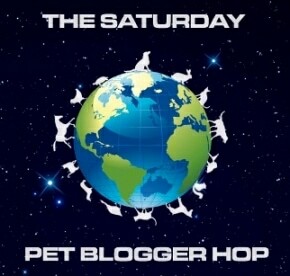 The World According To Lexi: Saturday Pet Blogger Hop 4-16-2011 - Spring Has Sprung on Bluebird Farm! Saturday Pet Blogger Hop 4-16-2011 - Spring Has Sprung on Bluebird Farm! Nitro and I went for a stroll on our country road and took some photos of nature springing to action. After our walk I decided to head into town to buy flowers for my little corner garden outside my office window. So welcome to my "Spring Has Sprung" photo album and Happy Saturday Pet Blog hopping! Nitro and I taking a walk this afternoon on our little country road. All the trees and flowers are in bloom. Spring has Sprung on Bluebird Farm! Our country road is so beautiful in the spring. We are halfway up the backside of a mountain so when you come up our country road you can see the top peaks of some of the Blue Ridge Mountains. Look how blue they appear early in the morning. This is one of seven ponds on our road. Maybe that's why we have so much waterfowl up here around the farm. Two days ago a pair of Canadian Geese hatched their young goslings in the field in the tall grass. We are so excited to have little ones running around again this year. It truly is spring here on Bluebird Farm! On the way back from the flower market Nitro and I drove by another pond and the Canadian Geese and their goslings had moved from the field they were in, over to the pond next door. Some of the goslings were grazing and some where napping under their moma's wing (see the baby under her right wing). Nitro looking at me probably thinking "come on mom, stop taking pictures, I want to walk faster!" With all the ponds on our road we not only have a nice variety of waterfowl but we also have turtles cruising around and soaking up the sun. I have to keep all my dogs away from them because some of them are lean, mean snapping turtle machines. Look at the size of those feet and claws! One bite from one of these babies and off to the emergency vet we go. After our walk, Nitro and I went into town to buy flowers for our bird bath garden. We could not believe how many beautiful flowers there were at the market. The tulips were on sale (for a big pot of 4 bulbs) for only $ 1.50 so we made sure to plant some tulips in the new garden. There is something so special about Cherry Blossoms in the South. I also purchased one of these Perennials for my new garden. I think these are so whimsical! Rows and rows and rows...oh my! Here is a photo of my finished project. The new little garden consists of my old bird bath and a new flower arrangement. I had to move the bird bath from the back yard because Nitro was showing way to much interest in it and I was afraid he would jump on it and knock the top off. With my luck if that happened, the heavy cement top would probably land on one of his paws and break another bone (heaven forbid). I think this corner garden turned out very colorful. When visitors park in my driveway next to the house, the first thing they will notice is my pretty little corner garden and bird bath. I love going to yard sales in the summer and a couple of summers ago I purchased the two ceramic bunnies for my garden. This looks like a Spring has Sprung Easter Celebration. Love this post! You know we are flower junkies!! You really do have a most lovely view down your road. Springtime is so special here in the Blue Ridge Mts. Spring flowers are the best, and the baby goslings are too cute! I really need to back off the cold medicine though because I was searching for a raccoon in the tree. ;) LOL! Have a great weekend! How beautiful! You all are lucky to live in such a beautiful place. We enjoyed the photos so much. Nitro we were up in the mountains on April Fools Day and it snowed. There were no leaves on the trees. We got what we needed from the root cellar and hurried back to the shore just as more snow started falling. Seeing that spring is springing where you are means soon my Humans and I will be heading to the mountains again for the summer. Relatives tell us that the other day they had a bad freeze at our elevation. Spring is beautiful and bright where you are! It's still cold, wet, and grey here in Toronto. The only similarity is the geese... there are tons of them everywhere you go! Ah gardening & dogs, my two favourite things (ok throw in a camera and you really have my attention. Spring buds just beginning to open up here but no where near as much as your cherry trees. Beautiful photos. I especially like Nitro staring you down! Love your photos! I love the one of Nitro looking at you, and the turtle. Happy Spring! Lovely photos! Spring is my absolute favorite season of the year. I love when all the color returns.